Recent reports on the Nexus 7 2 specs include Google moving from the Nvidia Tegra 3 processor to a faster quad-core Qualcomm Snapdragon processor and the new tablet to sport a full HD display. With this better display and performance boosts, the Nexus 7 2 specs need a faster processor to keep everything running smoothly. Google may see Qualcomm’s efficient and very popular Snapdragon S4 Pro as a way to up performance. Michael McConnell of Pacific Crest has also agreed the move would be profitable and provide the Nexus 7 2 with 4G capabilities. Qualcomm is offering the chip at a lower price to multiple suppliers and reaping in the profits. The Nexus 7 2 tablet will also come with a 1080p display to match the retina display on the next iPad Mini. Google does seem to want to make a big move to better display quality, with the Nexus 10 and the Chromebook Pixel showing excellent pixel density and resolution. 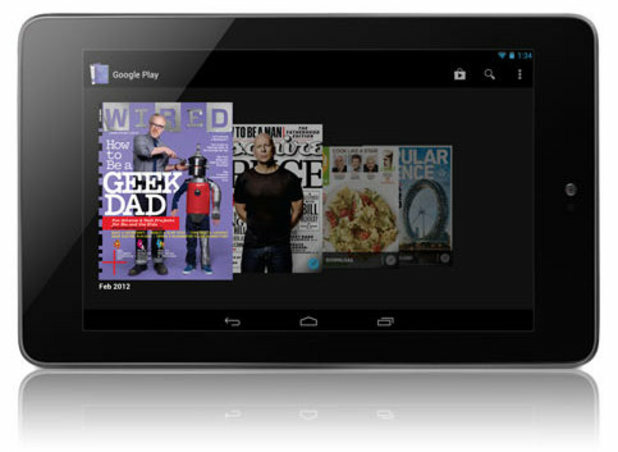 We believe the Nexus 7 2 specs will include a better GPU, more RAM and possibly 64GB of internal storage. Google has tried to make cheap, light storage devices, to optimize the appeal of Google Drive. Asus will be partnering with Google to produce the Nexus 7 2 again, and the usual build manufacturing will be made smaller and the device will be lighter. Others have said that the Android operating system 5.0 will be run on the Nexus 7 2, which we believe will be called Key Lime Pie. That will have a whole new set of features that including better camera software and more integration with your Google account. Nexus 7 2 specs look pretty good, if all these rumours and leaks are true, which we doubt they all are. We suspect the tablet will be launched at Google’s I/O in April.